I received an email asking me “what are the 10 oldest national parks?” The first National Park was Yellowstone created in 1872. Number two was Sequoia National Park in 1890 along with Yosemite National Park the same year. 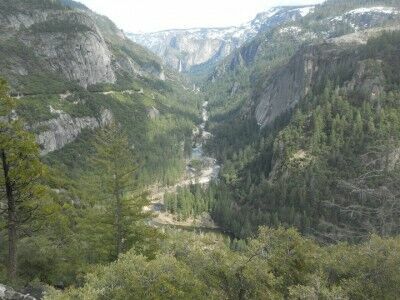 While Kings Canyon National Park was established in 1940, it’s included with Sequoia National Park (they are connected) because Kings Canyon National Park incorporated General Grant National Park when it was created. General Grant National Park was established in 1890 to protect the General Grant Grove of giant sequoias, the same year as Sequoia National Park. The first National Park actually was Hot Springs National Park in Arkansas yr. 1832. Yellowstone was set aside first but not made into a park but a mere 40yrs later, not only am I right but take a look at your National park quarter’s. So not only is your list completely false but fails to mention Hot Springs neither as 1 or 10. I would like to hope that you would see this to be fixed. Actually, Hot Springs was originally created as a national preserve in 1832 — it didn’t becoem a national park until March 4, 1921. When was Platt National Park established? I understood it was the 7th National Park established but it isn’t anywhere on your list. Today the park is known as the Chickasaw National Recreation Area. This list is of the parks that are labled “national parks” and not a list of all the areas that are part of the national park system (it doesn’t include national monuments, national recreation areas, etc) and therefore Chickasaw National Recreation Area is not listed.